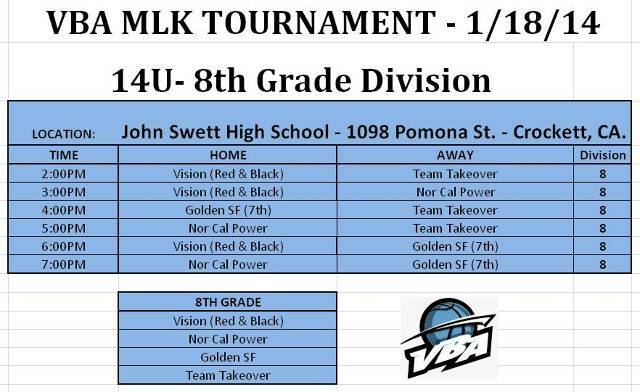 Thank you to all of the teams who competed in the inaugural VBA MLK Tournament! Congratulations to the following teams for finishing in first place for their respective divisions!!! 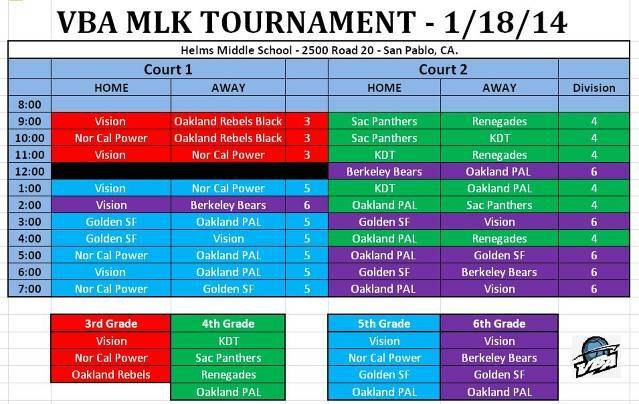 The Vision Basketball Academy MLK Tournament is an official Qualifier for the 2014 NorCal Middle School Basketball Championship to be held in Sacramento, March 22-23rd. 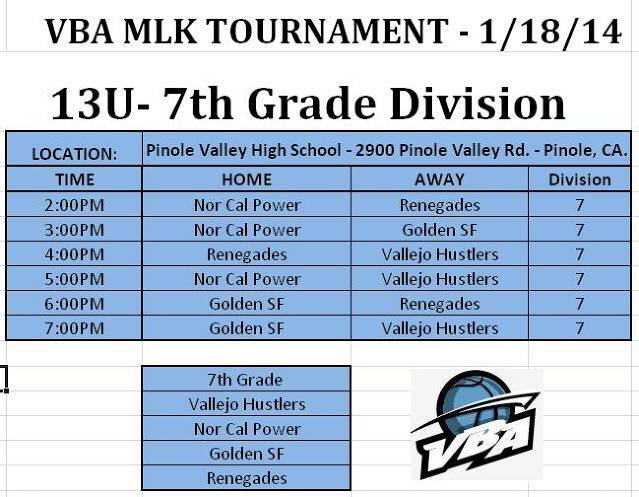 Boys and Girls teams finishing 1st or 2nd in the 5th through 8th grades will qualify for the State Basketball Championship to battle top teams from towns throughout Northern California. The State tournament offers a 4 game guarantee and two divisions, an Open division (club/select) and Competitive (school/CYO) division.